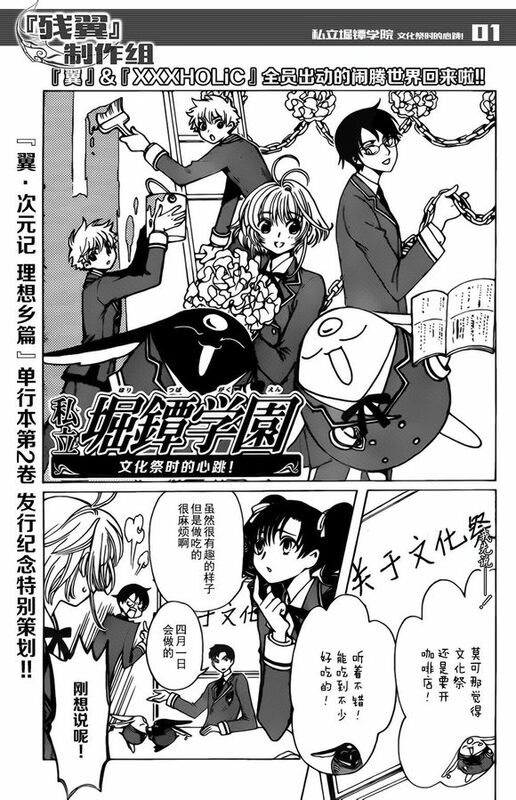 To celebrate the release of Tsubasa – WoRLD CHRoNiCLE – Nirai Kanai hen #2, CLAMP drew a new Shiritsu Holitsuba Gakuen short comic. This will be published tomorrow in Weekly Shonen Magazine #47. Love CLAMP and their gendefuck! Question: the shonen magazine 47 in which this oneshot appears in only available in digital format on amazon.co.jp, and can only accessed by japanese residents…nonetheless, I can bypass it by using a vpn that makes it looks like I am in Japan…but do you think it is a bad idea to do so? What problems could there be if I do it? I mean, I would be paying for it (270jpy, so cheap!) after all! I don’t think there is a problem at all. It’s not a crime to use VPNs as far as I am concerned. I did that recently to record the CLAMP radio show (before they announced that it would be up for podcast).